We Clean Air Ducts the correct way. 850-654-1010 | cleansteamusa. How can I find a good air duct cleaner? First you should know that the Huge mistake you can make is to think that every company is providing the same service and the only difference is the price. Many companies offer the best deals when you call for a price quote. The companies that really know how to do the job correctly will seem more expensive at first, but that’s because the good air ducts cleaners will quote an upfront more accurate cost for taking the time to do the job the right way. 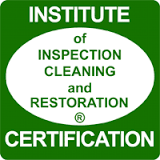 Clean Steam USA is a expert in cleaning air ducts. They can help purify the air in your structure. They don’t just clean Air Ducts Clean Steam has the experience, the tools and the expertise to solve you air quality issues. Clean Steam can help you solve allergen and mold issues. They are the kind of experts that you need. Many air duct cleaning companies use cheap equipment that is not able to completely clean out your air system. They use cheap equipment and charge you high prices. Watch out for smooth talking sales pros that can’t deliver. If you live in the santa rosa beach, Destin, Rosemarry Beach, Seaside area there is no better option for air duct cleaning than Clean Steam USA.